Ask undefeated UFC heavyweight Juan Adams how he feels about disgraced NFL veteran Greg Hardy, and he will not mince words. Adams went off on the former football player, who has been getting a massive push from the UFC, on the latest episode of BJPENN.com Radio. The undefeated heavyweight began by expressing his desire for a top-10 foe, and ultimately got talking about how he can’t even get a fight with the unranked Hardy. “I can’t even get a fight against Greg Hardy,” he said. “They bring in Greg Hardy, he’s fighting on a co-main event, and now [in his next fight] he’s still on the main card against a guy that’s 0-2 in the UFC. I just think it’s a little bit ridiculous, so until I build up a better following or get more Twitter followers, I guess I’m not going to get those fights. I’m perfectly fine with taking out all the other prospects because the division is aging, the top of the division is getting older, and I’d rather fight all the other recently signed guys now because those are easy fights. 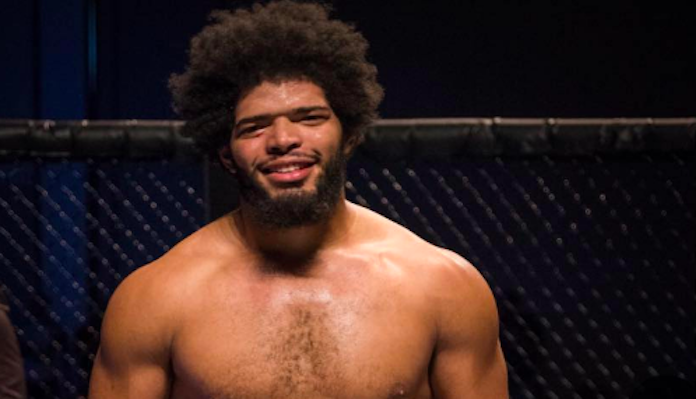 Juan Adams is scheduled to return to the cage at UFC Ottawa on May 11, where he’ll take on Indian-Canadian wrestler Arjan Bhullar. This will be his first fight since his UFC debut in December. Adams wanted to fight sooner, but the UFC wasn’t receptive. So, when he sees fighters like Greg Hardy getting big promotional pushes and quick turnarounds, it’s not particularly easy for him to stomach. “Greg Hardy seems to be getting a push and seems to be getting promoted, and I’m not,” he said. “It just doesn’t make any sense to me because after my Contender Series win, I was trending top-ten on Twitter worldwide. Now, I go out there, and I have to beg for a fight for months to even get them to send me over an offer for a fight. Greg Hardy, here he is, he fought after me and got booked for another fight before me, and it’s still in a better booking, better position on the card than what I’m getting. It seems they’re making all these accommodations for him. “They thought he was going to go in there and beat up on — I don’t even know the guy’s name — his last opponent [Allen Crowder],” Adams continued. “He got disqualified. He couldn’t even lose the right way. He got exposed in that fight. So they go in, they sign a guy they cut from the organization [Dmitry Smoliakov]. Dude went 0-2, and they’re re-signing him because they’re hoping Greg Hardy beats him. I mean, I think it’s sad. It’s transparent. I just don’t think it’s smart to market behind the guy that is that polarizing. See, Conor McGregor made the company a lot of money, but he’s in a lot of heat right now, and people are getting tired of those antics, and as time goes on this stuff isn’t going to work as well. It’s better to invest in actual talent. Juan Adams then reiterated that he believes he’s far more deserving of the push Greg Hardy is getting from the promotion. 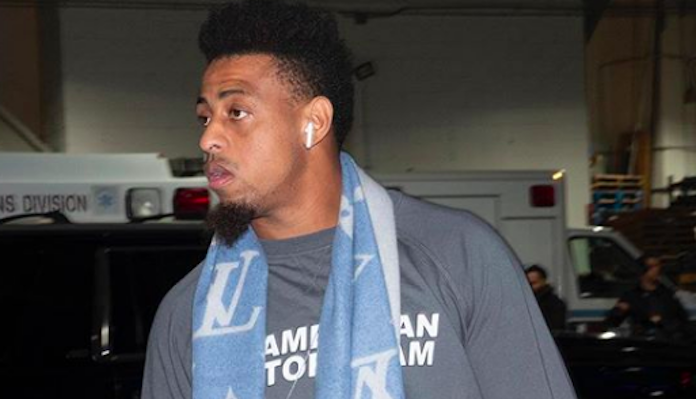 What do you think of the UFC’s treatment of Greg Hardy? Do you agree with Juan Adams on this one? This article first appeared on BJPENN.COM on 4/9/2019.